You’ve probably heard of the expression “Make hay while the sun shines”. But have you heard of making money while the sun shines? Yes, it is indeed possible to do so – thanks to the Sustainable Energy Development Authority (SEDA). SEDA is a statutory agency set up under the Ministry of Energy, Green Technology and Water, for the purposes of serving as a one-stop Renewable Energy Centre. SEDA’s Feed-In-Tariff (FiT) programme was designed to kick-start the green revolution towards renewable energy, for Malaysia. The FiT programme facilitates the sale of electricity produced from renewable clean energy resources, such as biomass, biogas, small hydro and solar photovoltaic (PV), to be sold back to utility companies at a fixed price for a specific period of time. 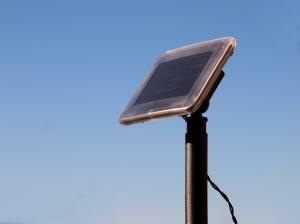 This article focuses on the Solar PV aspect. Malaysia is a land of eternal sunshine – though we have our share of rainy, cloudy and more recently, hazy, days – it still enjoys a very high concentration of strong sunlight on an annual basis. So, how can you leverage off this geographical advantage, to increase your positive cashflow? 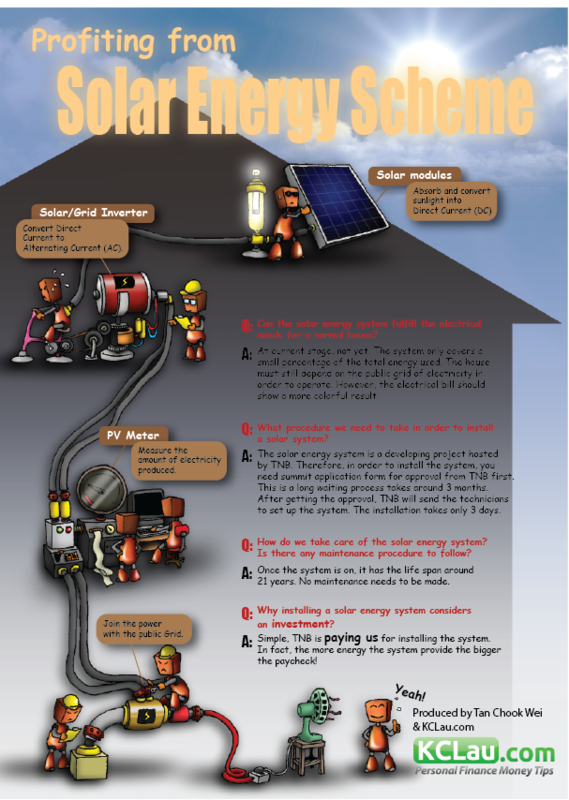 The answer may lie in the Solar PV system. In simple terms, individuals can install solar panels on the rooftops of residential dwellings, which absorb radiation energy from the sun. Once this energy goes through a process known as a photovoltaic process, electricity is generated. The system can be linked to an electricity grid so that electricity generated is exported back to the grid. A utility company such as TNB then pays the individual, a fixed premium rate per kilowatt hour (kWh) of electricity. Programmes such as this, serve the dual purpose of allowing Malaysia to pursue a renewable energy agenda, while simultaneously making optimum use of its abundant solar energy available all year round. How does the individual house owner benefit? The system provides the average home owner with an opportunity to generate passive income. According to information available online, a system under 4Kw can earn RM 1.3708 per unit of electricity generated; translating to approximately RM 7000-odd. Output is supposedly guaranteed for a period of 21 years. For years the technology was available but the cost and lack of financial incentives rendered it an unworkable option for the average person. Now, with the new incentives implemented by the government, the option is available to everyone. The take-up rate for the programme launched some years ago, has been very promising – and there is room for much more expansion of this market. In fact, in a recent press release, a TNB spokesman encouraged more Malaysians to participate in the programme. Details of the programme are available at http://seda.gov.my/. 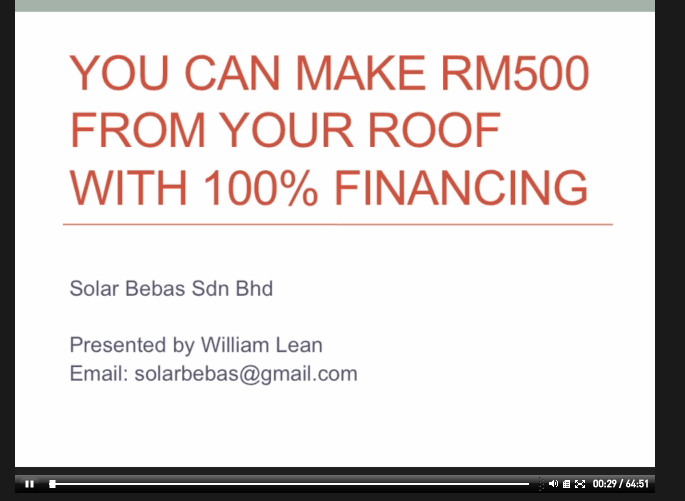 You could also check out the website of any supplier of the PV system, such as Senheng Electric (KL) Sdn Bhd. Recently, Senheng launched its own product known as the Senheng Residential Solar PV System. Taking the solution provided by Senheng as an example, according to information available in online press releases, Senheng will offer 3 residential solar PV system packages – 4kWp at a cost of around RM40,800, 8kWp at a cost of around RM81,600 and 12kWp at a cost of around RM122,400 to set-up. Maintenance services are free, for the first 3 years. For those who are interested but might not be able to finance the set up costs, Senheng even provides an 85% financing solution with a special low interest rate and an added incentive of a 15% cash rebate after full installation. It also provides an end-to-end solution to its customers, comprising design, consultation, installation and project management, monitoring and maintenance. On paper at least, it seems like a great idea. However, a variety of factors do come into play, in determining how much money you can make from this initiative. You should carefully understand the contractual details contained in the agreement you would enter into with SEDA and TNB when your PV panel is connected to the power grid. You’ll also need to work out how many peak sun hours you will get, that is, when direct sunlight to the PV is not blocked. It should receive direct sunlight from at least 11am to 3pm. There’s also the issue of set-up costs, maintenance and cleaning of the PV. It may take several years, to recoup upfront costs and generate clean profits. When viewed as a long term investment, it does sound like a viable proposition worth exploring. But as with all investments, carefully study the plans, do the calculations, obtain all the necessary background information, and consult with homeowners who have already installed the PV system, to get tips on the do’s and don’t. My blog subscriber, Arjunaidi Jamaludin had successfully installed the solar panel and he was being featured in Astro Awani. You can watch the video clip of the interview here. Arjunaidi also provide consultation for you to profit from this scheme. For PWM (Premium Webinar Members), you can watch the full session of Arjunaidi explaining how it is done on his own house at Putrajaya. « Previous Post 6 Tips to Find a Good Advertising Agency For Small Businesses Next Post » How Leverage Works in Trading Future Contracts? 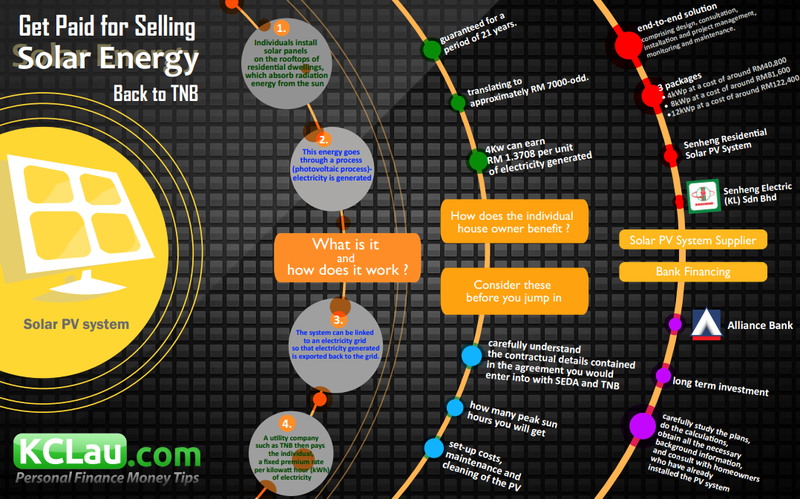 45 replies to "Get Paid for Selling Solar Energy Back to TNB"
I’ll explain you everything on the latest Solar Scheme in Malaysia. Since the recent announcement on new direction for FIT, possible to plan a follow up article on this next year when announcement is more clear? I like to know from the consumers point of view after install the solar panels. Anyone like to share positive and negative are more welcome. I have a 2 acre land in Gemas, Negeri Sembilan. The said land is beside Amcorp Gemas which produses and sells about 10.25MV to TNB. The area is very hot with little rainfall. Since Disember 2017 it only drizzled a few times. My plans to plant Musang King Durian was dashed because of little rainfall with no rivers nearby. So tuan can my land be used for Solar Plant and sell to TNB. FYI, I don’t provide the service. You will need to contact the relevant consultant directly. Don’t you think the investment cost is a bit to huge for a normal person living in link house. How much power can be generated from a 400 m2 bank of solar panels? FIT has ended and replaced by NEM. Its means you use the electricity generated first then only sell it back to the Grid at displaced cost. It’s more worthy for Company because they can benefit from the double Tax Benefits. FiT sell back the electricity based on an agreed Rate for 21 year, with NEM’s rate follows the increment of electricity Tariff. I am interested, please send me the info on solar farm and roof installation. Hah. The FiT scheme for solar PV had ended before I can start after I gathered enough money. My father got this deal and got CHEATED. Another agent sweet talked saying earning is average 2.5k up to 3k plus,if weather of the month is bad is 1k plus. But the money sent to my dad’s account is 600+ for three months. That is 200plus. Furthermore my dad put in 20k plus as deposit but only had the installation after 2 years saying takes time to import the panels. God knows what they earn with 20+k of fd in bank. I am interested .please contact me. Hi, I’m interested. How and what to do next?? Hi. What is the requirement for leasing the land for solar farm? Can i have the details. And, rooftop solar? I have a factory with around 1 acre of open roof spacing. Just wonder what will be the investment like and what will be the potential income be. I have 6 acres and interested in this. Please do contact with me. Hye guys, we can provide a total solution for the solar energy system. feel free to contact me at 017 5955 479. Looking forward to your favourable reply soon. Please contact me regarding installation in JB. Hi Sir, Thank you for your sharing. I am a student currently doing a final year project about the feasibility of PV solar system in a residential area. Can I know where do I get the list of price that TNB will pay to us if we sell the electricity to them ? I cannot find it on their website. Hello.. Im interested. Area Nilai. Pls update me.. I am interested o install i unit , Do drop me an e mail . I wish to invest and install to my home. please feel free to drop me email. Im interested. Can u provide more information? I am interested; Base in Rawang would like to know details ans soon . RM40.8k for a 4kw system vs RM81.6k for a 8kw system. How come???. RM per kw should be lower for larger system. If RM70k for a 8kw system then there is incentive to install for my new house due march 2018.
hi, may i know what is the actual component that being install to our home? and is there any radiation? I am not sure about the radiation. Can check with the consultant and ask for relevant research report. All the income from FIT are taxable under LHDN? if yes, it is not worth it. Hi Sim, Malaysia government is taxing the income we made. Whether it is worthy or not, it depends on how you look at it. Some very high position manager like CEO are taxed at the maximum rate. Do you think they will say “no” to their employer when they are paid a bonus (which will also subjected to tax)? I’ve watched the video. Poor PV installation. Shading must be taken into consideration to maximise the PV output, but it was not the case in this particular installation. My panels are shaded by my neighbour’s house only in very late evening ~6.30pm when sun is going to set anyway. so no big loss there. My system integrator did a shadow casting analysis before the final placement of the panels. 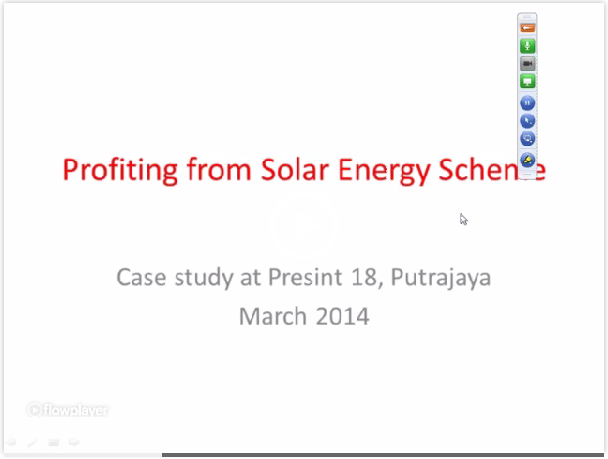 This analysis was also done for their 8MW solar farm in Melaka. Are you saying that the monthly profit we get is RM7000 plus and the investment for that is RM40k plus (exclusive of maintenance and other service). or the 7k is actually for a year? Don’t fall for this. This is a product initiated by gov but diasagreed by tnb. If u see history, the tariff rate u get from tnb is in rapid declining trend. This is because this business is not profitable to tnb. The more ppl getting this, the more pressure tnb has to decrease the tariff rate. Why i say so ? Because tnb has introduce a fund where 1% is charged on the electricity bill shall it exceed a certain amount. Hi Zavier, the fund you are referring to is the RE Fund – which is the Renewable Energy Fund. Those who enroll in this project is getting paid from the 1% we contribute each month to RE Fund. That’s where the money come from.